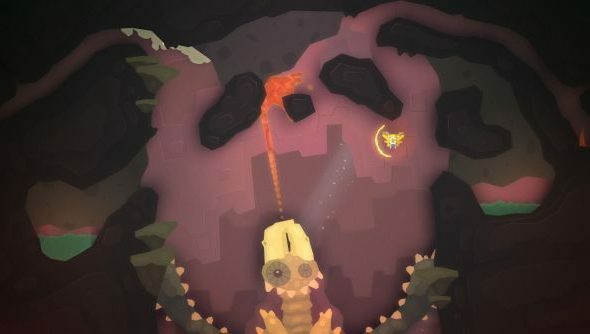 Twin-stick shooters are a trading card a dozen on Steam these days, but Pixeljunk Shooter is one of the original crew and this new Ultimate edition rebalances, rearts and recombines it and its previously Playstation-only sequel into one package. The levels of the two games will seamlessly flow into each other, while you can switch between the new Ultimate artstyle and those of the original games with the press of a button. Here’s the best indie games available on PC. A number of quality of life and balance improvements have also been made. There’s now in-built trackers to let you know how much of each level you’ve completed, making getting that sweet 100% achievement less a task of googling walkthroughs. “Scoring, combos and reward systems have also been improved” though there aren’t details as to how – presumably more consistency and less frustration. The online component, already a big draw in a genre packed with single-player and leaderboard-only games, has also had changes made to its progression system. You’ll acquire new items faster and climb the ranks quicker, letting you get on an even playing field with vets sooner. There’s also everything you’d expect from a 2015 Steam release – trading cards, achievements and so on – and integration with save files for the first game, letting those who have a complete version of that to skip straight to the Pixeljunk Shooter 2 levels. A bunch more details in the announcement postand you can grab the game on Steam for £6.29 / $8.99 / €8.09.